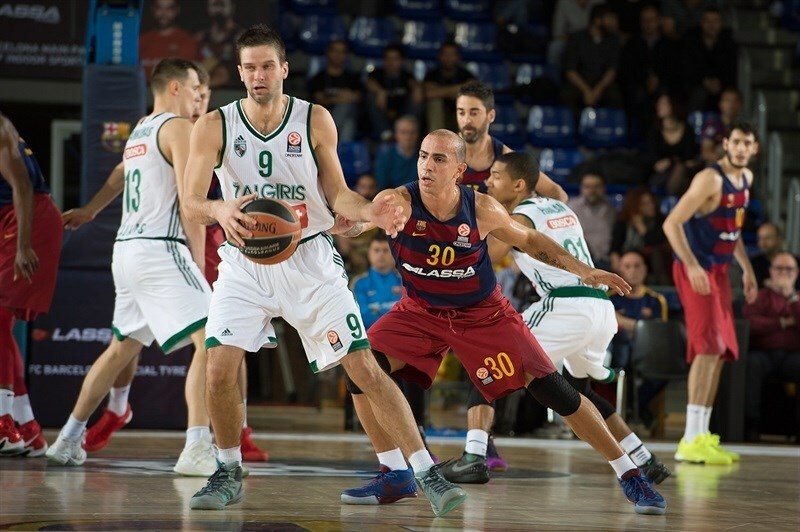 Zalgiris Kaunas grabbed its third road win in Group C by edging FC Barcelona Lassa 88-92 at Palau Blaugrana on Thursday. 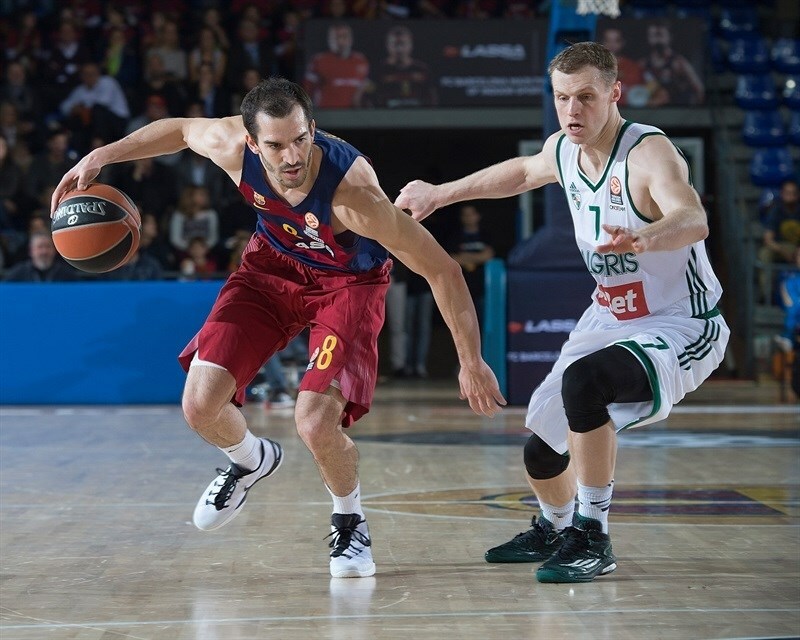 Zalgiris improved to 5-4 and broke its losing streak against Barcelona, which dropped to 6-3. Prior to this game, Barcelona had defeated Zalgiris in 14 consecutive meetings and had a 19-1 record all-time against the club. 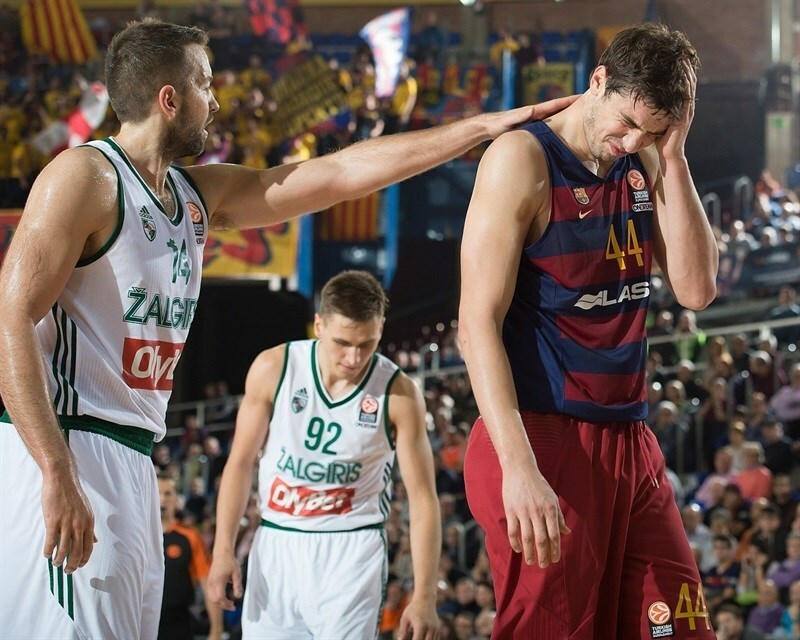 It is Zalgiris's first win against Barcelona since 2004. Paulius Jankunas led the winners with 17 points, Mantas Kalnietis added 16, Olivier Hanlan 14, Martynas Pocius 12 and Robertas Javtokas contributed 10 for Zalgiris. Ante Tomic led Barcelona with 28 points on 11-of-11 two-point shots - a new all-time Euroleague record for most two-point shots made without misses. Carlos Arroyo added 15, while Stratos Perperoglou had 10 for the hosts. A 2-10 run that Kalnietis capped with a three-pointer gave Zalgiris an early 8-16 lead. A put-back layup by Brock Motum soon made it a double-digit game, 12-23, and Zalgiris held a 16-27 margin after 10 minutes. An outstanding Pocius helped Zalgiris to keep a 38-45 advantage at halftime. A three-pointer by Perperoglou brought Barcelona as close a 61-62, but Hanlan and Motum boosted the guests' lead to 63-70 after 30 minutes. Hanlan and Edgaras Ulanovas took over in the fourth quarter and free throws by Jankunas sealed the outcome, 80-88, in the next to last minute. 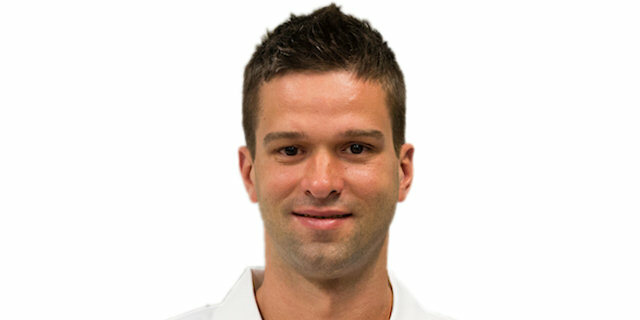 Tomic got Barcelona going with a mid-range jumper, which Jankunas copied at the other end. A jump hook by Edgaras Ulanovas gave Zalgiris its first lead, 2-4. 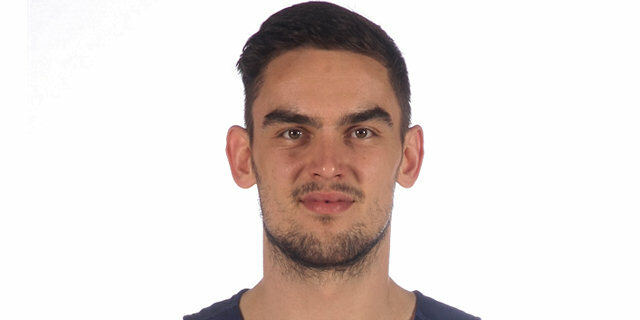 Samardo Samuels found Tomic for a dunk, Jankunas answered with a backdoor layup and an off-balance jumper by Tomas Satoransky tied it at 6-6. Kalnietis scored in penetration and a layup by Pocius boosted the guests' lead to 6-10. Tomic made free throws, but Jankunas did better with a three-pointer and Kalnietis added his own shot from downtown to cause the Barcelona fans start to wonder at 8-16. 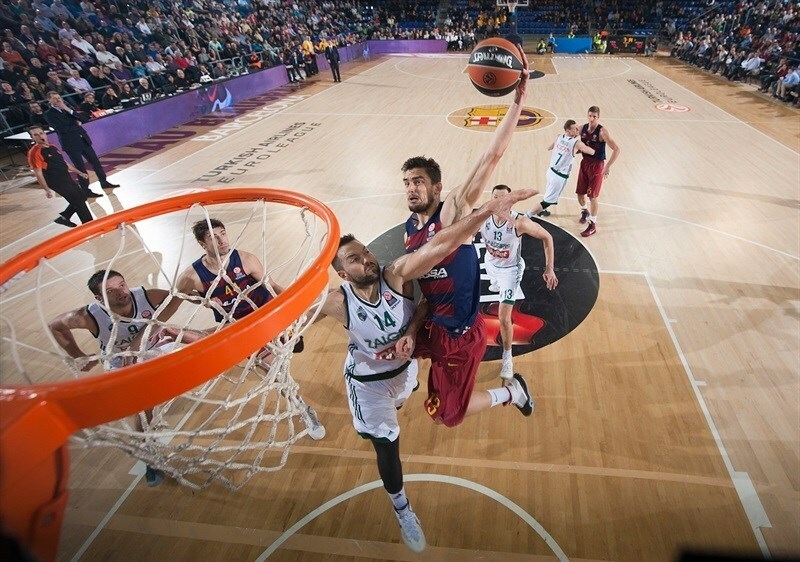 Tomic banked in a jump hook and a dunk by Satoransky halved the Barcelona deficit. After Lukas Lekavicius buried a corner triple, Ulanovas made free throws and a put-back basket by Brock Motum made it a double-digit game, 12-23. Motum took over with an alley-oop layup but a wild dunk by Shane Lawal and a jumper by Alex Abrines kept Barcelona within 16-25. 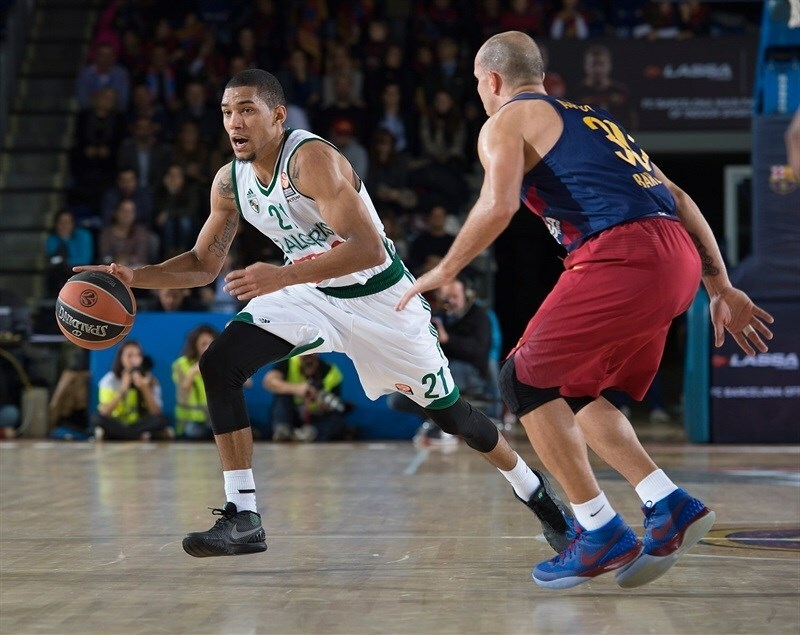 A mid-range jumper by Olivier Hanlan restored a 16-27 Zalgiris lead after 10 minutes. Motum hit a jumper early in the second quarter, but Carlos Arroyo answered from downtown to make it 19-29. Hanlan scored again and after Abrines split free throws, a jump hook by Robertas Javtokas boosted the guests' margin to 13. Arroyo hit foul shots and a fast break slam by Abrines caused Zalgiris to call timeout at 26-33. Pocius rescued the guests with a three-pointer and Kalnietis also hit one from beyond the arc for a 26-39 Zalgiris margin. Arroyo scored again and soon added a bomb from downtown to get the crowd involved at 31-39. Pocius and Arroyo traded three-pointers, then Tomic split free throws, but a dunk by Ian Vougioukas kept Zalgiris way ahead, 35-44. Lawal and Arroyo made foul shots and Motum split attempts to fix the halftime score at 38-45. 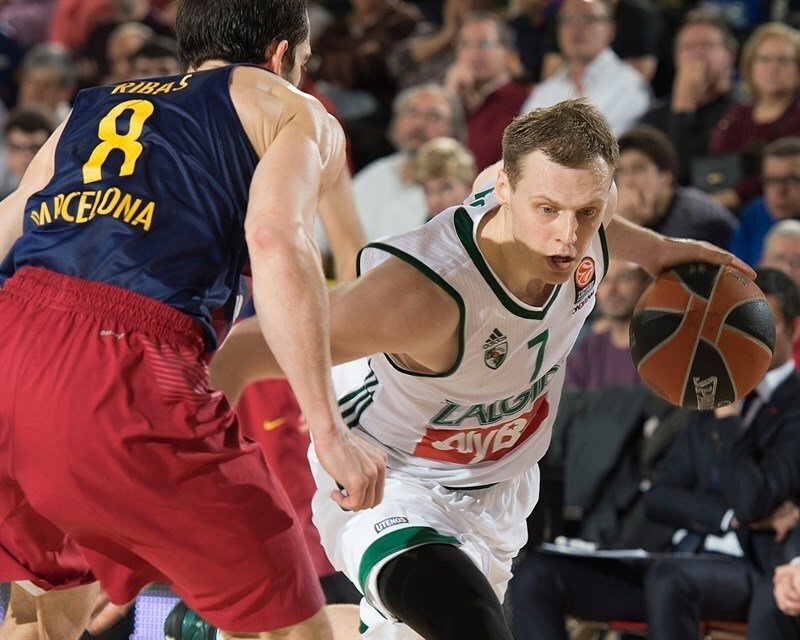 Kalnietis buried another three-pointer immediately after the break, but Pau Ribas quickly answered with a jumper and Perperoglou sank a baseline shot to keep Barcelona within 42-48. Ulanovas kept pacing Zalgiris with a backdoor layup. Satoransky scored around the basket and a mid-range jumper by Jankunas gave the guests a 44-52 lead. Tomic buried a jump hook and Ribas added a jumper to get Barcelona within 4 points. Vougioukas scored in the low post and a dunk by Tomic caused Zalgiris to call timeout at 50-54. 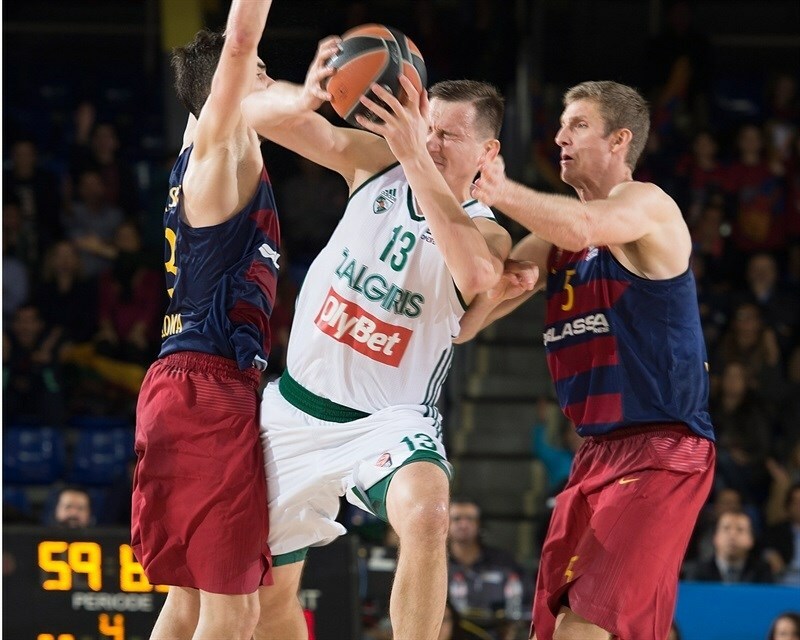 Kalnietis fed Javtokas for an easy basket, but Ribas and Tomic got Barcelona even closer, 53-56. After Hanlan hit a running jumper, Justin Doellman made free throws, but a hook shot by Javtokas gave the guests a 55-60 edge. Perperoglou split foul shots and a tip-in by Tomic made it 58-60. Hanlan sank 4-of-4 free throws, but Perperoglou followed a three-pointer with a jumper for a 63-64 Barcelona deficit. Pocius scored in penetration and a put-back layup by Javtokas gave Zalgiris a bit of fresh air, 63-68. A buzzer-beating jumper by Motum fixed the score at 63-70. Javtokas scored down low early in the quarter and a mid-range jumper by Hanlan allowed Zalgiris to regain a double-digit lead, 64-74. Pocius took over with a wild driving basket that Sasha Vezenkov improved on with a layup-plus-foul. 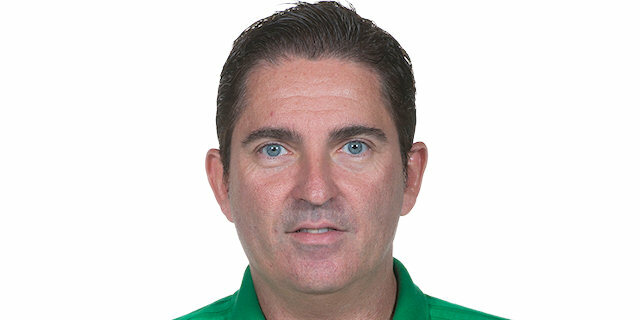 After Ulanovas split free throws, Ribas scored around the basket and a three-point play by Kalnietis kept Zalgiris way ahead, 69-80, midway through the fourth quarter. Ribas nailed a jumper off a screen, but Ulanovas matched it with a layup for a 71-82 Zalgiris lead with four minutes left. 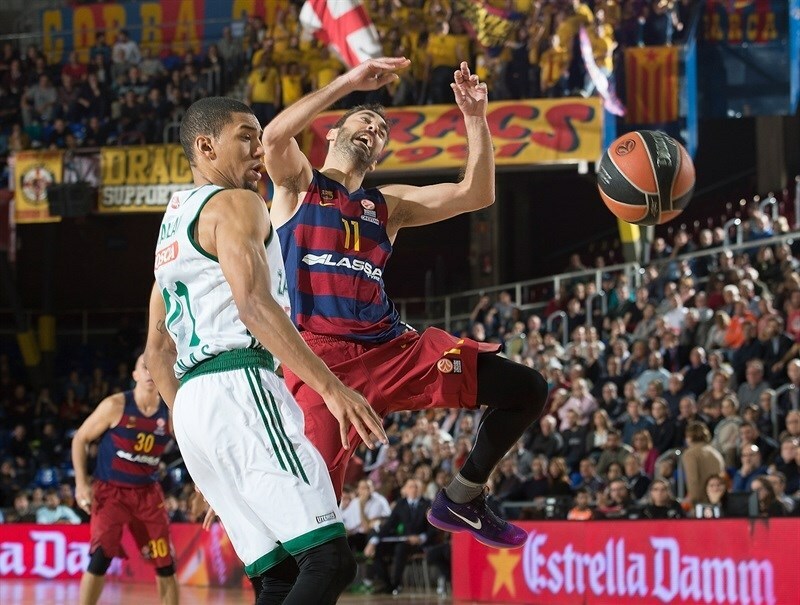 Tomic took over with a three-point play and a driving layup by Perperoglou gave Barcelona hope at 76-82. Hanlan stepped up with an off-balance basket. Tomic answered with a layup, but Jankunas gave Zalgiris a 78-86 edge in the next-to-last minute. Tomic dunked again, but Jankunas hit 4 foul shots to seal the outcome, 82-90, and even though Barcelona kept trying, the hosts never recovered. 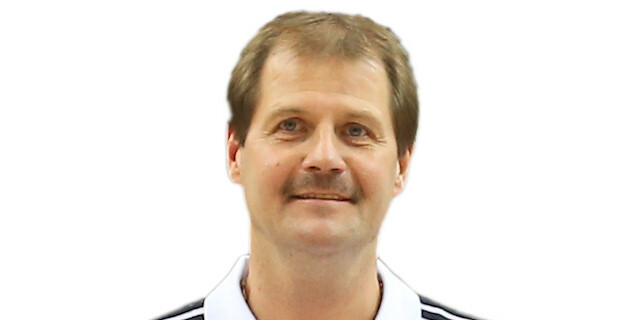 "Congratulations to Zalgiris for its win in a game in which, just as last week against Panathinaikos, one bad quarter conditioned the whole game. In Athens, we lost just one quarter and won three. Tonight, we lost one, won two and tied another. Those moments in which we played bad conditioned the entire game, even more so because it happened in the first quarter. We didn't play well on defense and that allowed Zalgiris to play confident, feel comfortable and believe it could win the game. After that, they hit a lot of shots in many different situations and played a very good game. We improved in the second half, scoring 50 points, but were not able to be solid enough on defense to be able to win this game. We are in the same situation as before the game, needing to win in Krasnodar to be first. We are at least mathematically second and will play for first place in that game. The situation doesn't change much. We didn't manage to find our rhythm and when we played better defense, not were not able to be solid." 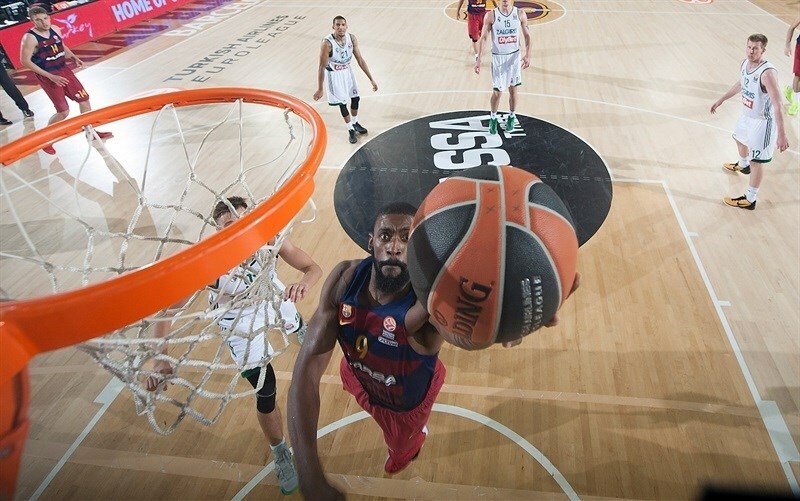 "First of all, it was a very good Euroleague game in a good atmosphere here in Barcelona. Congratulations to my players for winning in here. For sure, after two bad road losses in Athens and Krasnodar, we had the goal to show another face and show that we can fight against good teams, one of the toughest in Europe. I think we did a good job tonight. We played two really bad games on the road. We spoke before the game about being much more aggressive and much more active on the court. We showed that we can score way over our average if we are ready to do it 100%. I think it is very difficult to imagine that we can play every game like we did tonight. I wish, but it is not possible, but we showed how good we can be when we are giving 100%, competing and everyone is aggressive. We didn't have any guy scoring 20-30 points, but a lot of them in double digits. This is the way we have to play. When we play together, like tonight, we can hope we can be competitive in the Top 16." "We are not happy at all with this game because we prepared things that were very different to what we did today, especially on defense. Things didn't did not work well for us, mainly because of our lack of aggressiveness. We were late in a lot of situations and that allowed them to have more confidence in the second half. Even when you raise your intensity level, it is difficult to return to the game again. This is why we lost tonight. It is difficult to bounce back from an 11-point first-quarter deficit. We returned to the game, but like I said, they had more confidence and hit tough shots in one-one-one situations." "We were already qualified to the Top 16, but we came here to play a better game because we weren't too happy with how we played, actually, in the regular season. And today we played probably our best game of the season, so we are really happy after so many losses against Barcelona."